The Monchique Mountains are located in the west of the Algarve and have been named after the main town of Monchique. The highest peak is Fóia mountain with 902 meters. 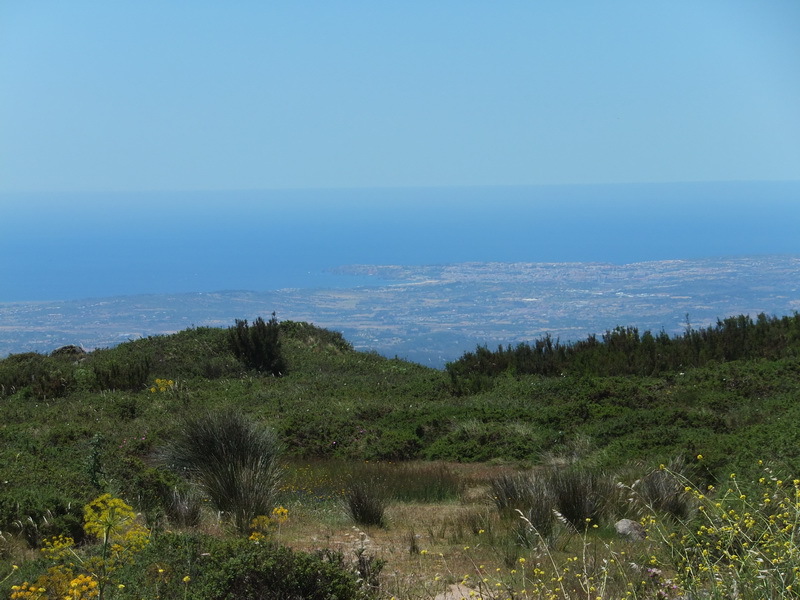 This is also the highest elevation of the whole Algarve. The mountain range is an important windbreaker that keeps the cold wind from the Atlantic Ocean from blowing into the mainland. 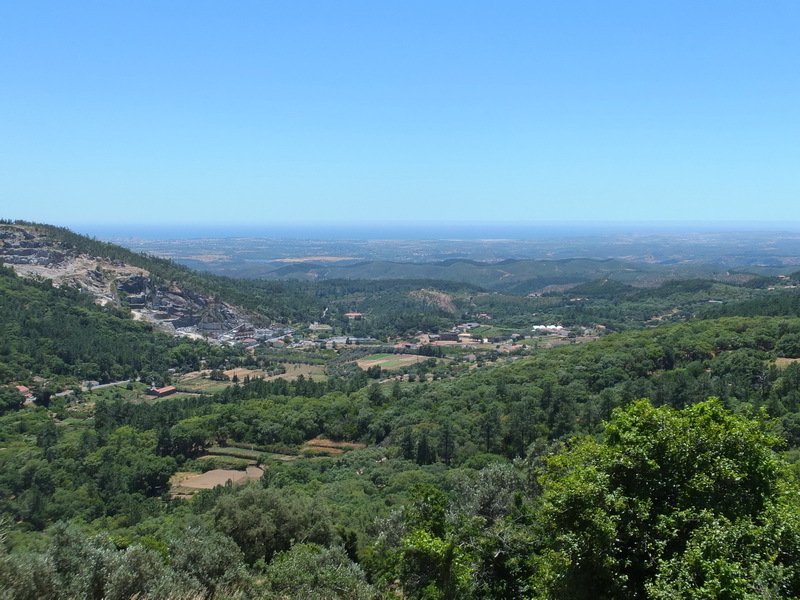 Thus, the Monchique Mountains have a mild sub-tropical climate that differs from the rather dry mountains of the Algarve outback. For those looking for rest and relaxation, the regional thermal baths are the highlight. Here, sulphurous and mineral-bearing 32 degrees warm springs are used for cures. The water is said to help with stomach-, intestinal- and liver problems. 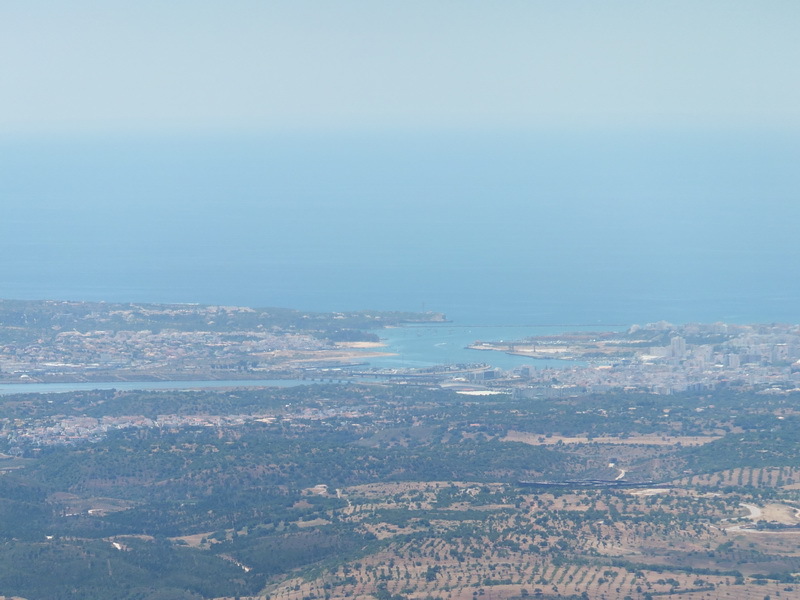 The view from the highest point of the Algarve is really very impressive. When the weather is clear, you can see the Atlantic Ocean. The viewpoint is also frequented by tourist buses, the visitors are then first routed through the shop, then get a liquor and the finale is a photograph in the parking lot. If you climb off to some of the big rocks, you have a great and unrestrained view into the valley. A new sight for us was the cork oak, which grows everywhere. This evergreen leaf tree features a massive layer of cork on the trunk. Each tree provides about 100 - 200 kilos of cork in its life, which is used, among other things, for bottle stoppers, flooring or also for thermal- and sound insulation. If you walk through the towns of the surrounding area, you can find some shops selling cork items like coasters, but also bags and other useful and not so useful objects.